I’d like to share with you DreamHost Review. DreamHost web hosting is consistently ranked No. 1 in performance, reliability and technical support. They started in 1997, California, United States. DreamHost proudly hots 1.5 million websites, WordPress blogs, and applications. It’s for developers, small businesses, designers and even more. They have been hosting WordPress Websites since the beginning. Even more, the WordPress recommends DreamHost for WordPress hosting. DreamHost has been committed to the WordPress community for over 10 years. As a result, DreamHost platform is optimized for WordPress. DreamHost offers choice, performance, and value for new users and experts. You know how many physical resources requires to run an internet company? More than you’d think. Furthermore, you get Green Hosting from DreamHost. Another, They have award-winning in-house support staff for you all day, every day, through chat, email and social media. Shared hosting is a service offered by a hosting provider. Where website shares the same physical web server with other users. Similarly, the resources are shared. While your files are protected and isolated from others. Certainly, the most popular product of DreamHost is Shared Hosting. That’s not all! Furthermore, their shared hosting plan includes even more great benefits. Therefore, Anyone can use shared hosting to build a successful web presence. DreamHost offers premium, managed virtual private hosting solutions. Here resources are isolated for individual users. Also, Resources can expand to keep up with your site’s success. If you need added control and reliable performance, therefore, choose VPS. Your website will be even more responsive and faster. Finally, VPS is good for high-traffic bloggers, growing businesses, and e-commerce sites. It’s the storage unit for your website or web application. It holds documents, images, videos and other computer files online. You just have to upload your data. Web hosting companies rent web space to you. The bigger the better. DreamHost’s fully managed dedicated servers are equipped to handle any hosting needs. Dedicated hosting is perfect for High traffic websites, bustling e-commerce stores, digital agencies, and reseller hosting Users. WordPress is a content management system. It’s a bit different than shared hosting. Here you get managed WordPress hosting for managing your content. Hence, It is perfect for bloggers, small business, e-commerce, Designers, and developers. HTTP by default, NGINX with HTTP2 Enabled. The great ideas come with a perfect domain name! DreamHost offers a chance to register your domain name before someone does. Deciding your domain is like making a brand name for your company. Certainly, You get Top-level domains. Furthermore, the safest, most trusted and most memorable .com Domain. Why Register Domain at DreamHost? Free WHOIS Privacy Protection: Other hosting companies charge you to keep your information private. While DreamHost offers free protection for all eligible domains. ICANN Accreditation: DreamHost are accredited registrar for .com, .net, .org and .info TLDs. You will have access to professional photos via Pixabay. Under one plan build as many remixer websites, you’d like. Your own media Library. You can publish photos, videos, and audios directly to your sites. Also Customized colors and fonts. Any non-professionals user can use this platform. Remixer is mobile friendly. Launch your cloud servers in less than 30 seconds with the help of DreamHost. Cloud hosting takes your application online. DreamHost gives hourly pricing and monthly discounts for cloud hosting. 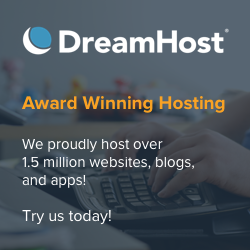 You can run DreamHost servers as long as you need. While only pay for 600 hours (25 days) in a given month. Download bandwidth is charged, Upload traffic is free! Each DreamCompute accounts include Free 100 GB of Block storage. You have to buy additional block storage. You can change any part of a server anytime. OpenStack an open-source command line tool available for creating private and public clouds. Furthermore, You can choose any operating system or software versions. DreamHost helps you to migrate your workload to your own private cloud when the time comes. Above all Secure your files using cloud backups. Likewise, you can connect storage applications with the cloud for backups. There is DreamObject connection Plugin available for automating WordPress site. Such as backup, uploading of an image and more. As you see DreamHost offers affordable and best quality feature plans. You can quickly and easily create your own professional website with DreamHost. Most noteworthy WordPress officially recommend DreamHost for Web Hosting. Therefore my DreamHost review is you must go for it. Really this is very good blog post thanks for share with us.